Shoreline Shuffle Revisited was a photography exhibit showcasing work of 16 photographers and 4 videographers who documented a one day public protest called the Shoreline Shuffle in Kingston, ON June 23rd, 2013. 2 Public Forums were organized, click here to find out more. 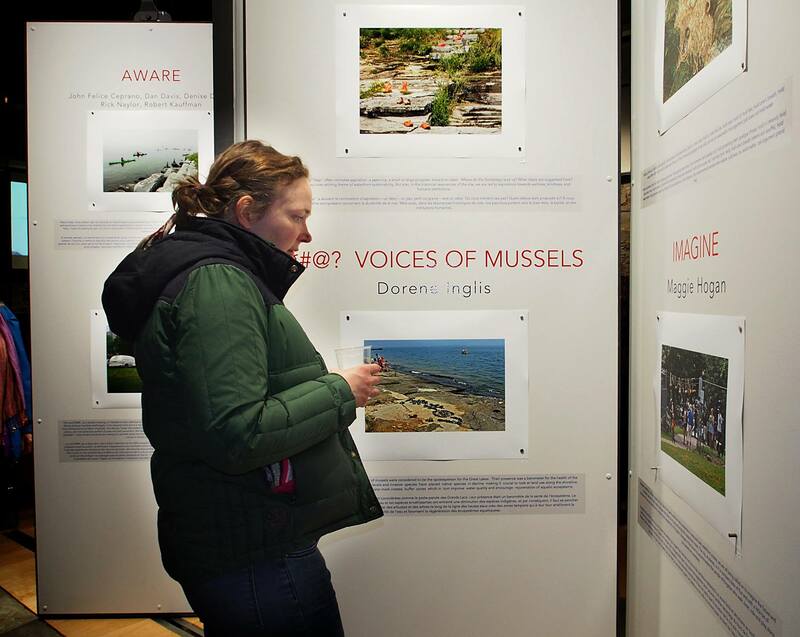 This exhibit in part was an opportunity to keep the waterfront conversation going by asking the public to contribute their ideas and comments. 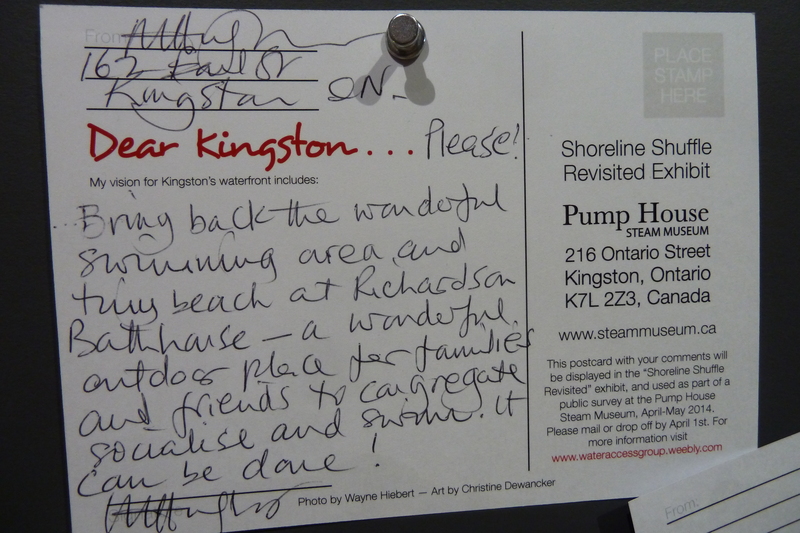 One initiative was the Dear Kingston postcard below which was distributed all over the city for people to fill in and mail to the Museum. The postcards then were posted on a wall in the exhibit. Click here for the postcard file. Click here to download the Dear Kingston pdf.